Breakfast for dinner just got a little more easier. And way more fun! At my house the only time we really eat pancakes or waffles is for dinner. It is normally too time consuming to make for our early and busy mornings. 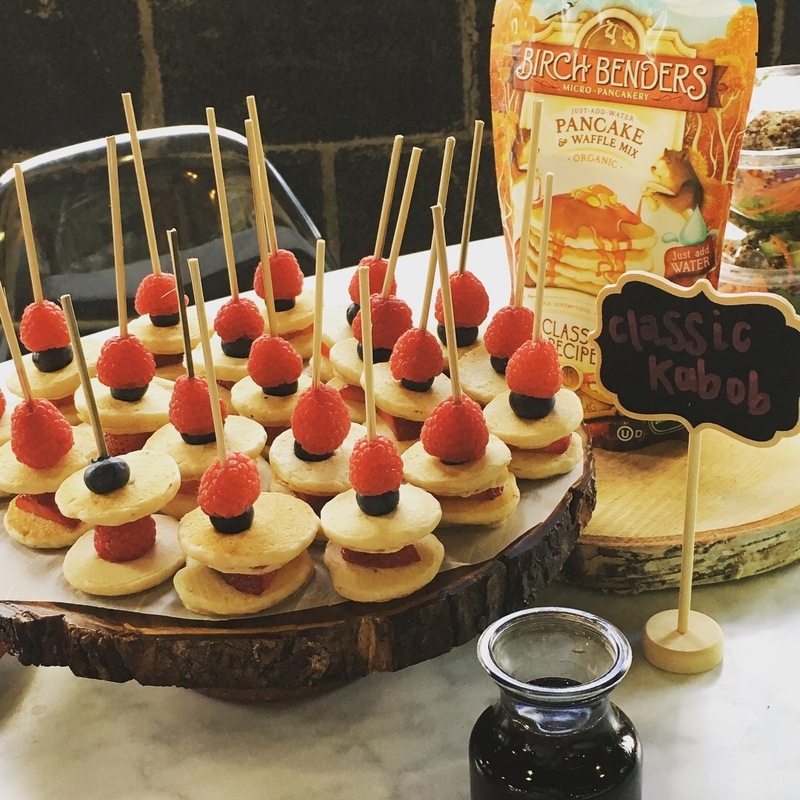 This may have changed since we have now found the ease of Birch Benders waffles and pancakes, but let me share with you why we still love it at dinner. It’s because we can have a laid out Pancake Bar & then create your own Waffle Sundaes for dessert. Or how about Pancake Kabobs instead? Definitely fun! First though I want to tell you about Birch Benders who is based locally here in Denver, CO. 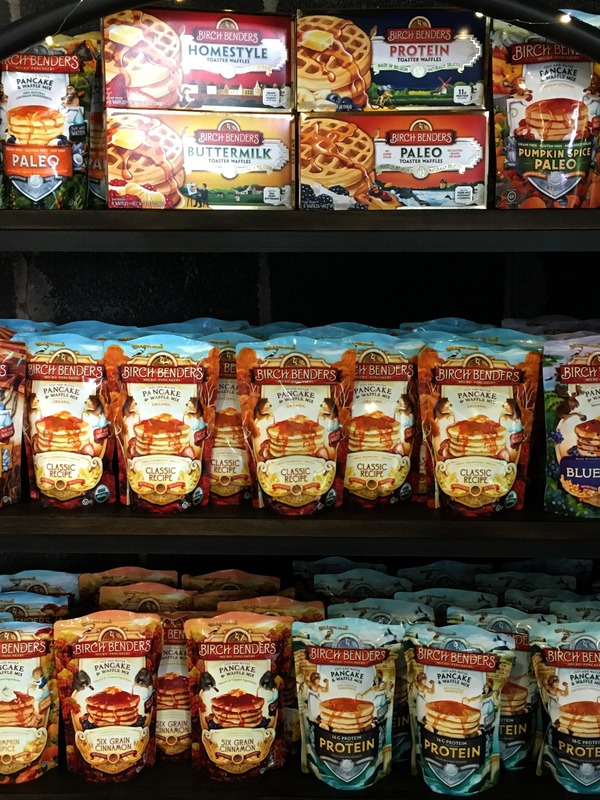 They create just-add-water pancake mixes in 8 yummy flavors all made with non-GMO simple ingredients. They now have Frozen Toaster Waffles too! Available at Sprouts farmers market. I was invited to Birch Benders last week and guess what we made? Ice cream sandwich waffles! 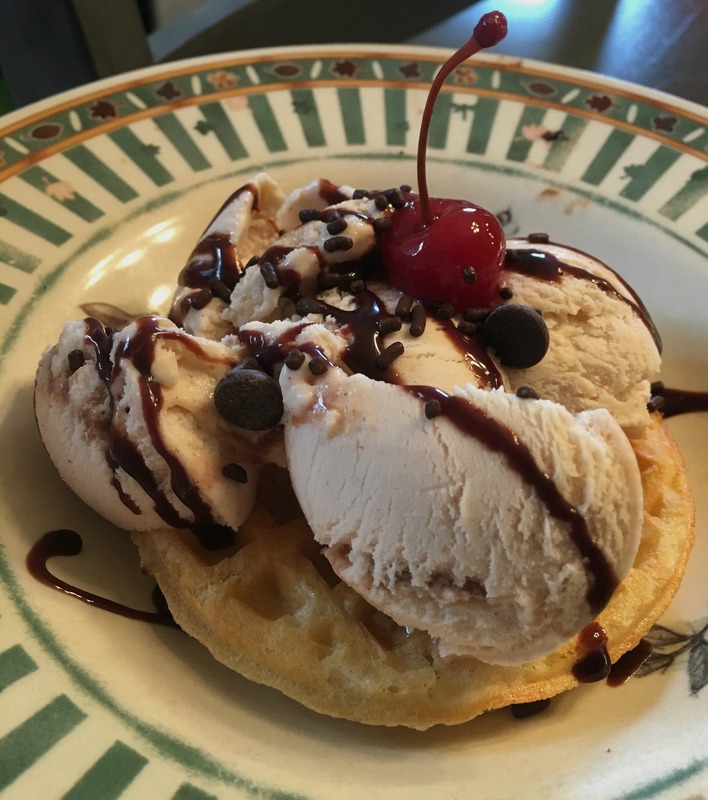 My boys were soooo jealous that the next night we had a Pancake Bar & Waffle Sundae dinner. Just-add-water to make pancakes in 5 minutes. A 5 minute dinner! Even my youngest says ‘wow mom that was fast!’. I laid out yummy toppings I found from Sprouts to go along with them and everyone was able to create their own. Maple syrup, honey, berries, coconut, almond butter, chocolate chips. Next I toasted the Frozen Waffles, brought out the ice cream, sprinkles, and chocolate to add to the Bar, and we had an instant dessert. Fastest and Best Dinner ever! 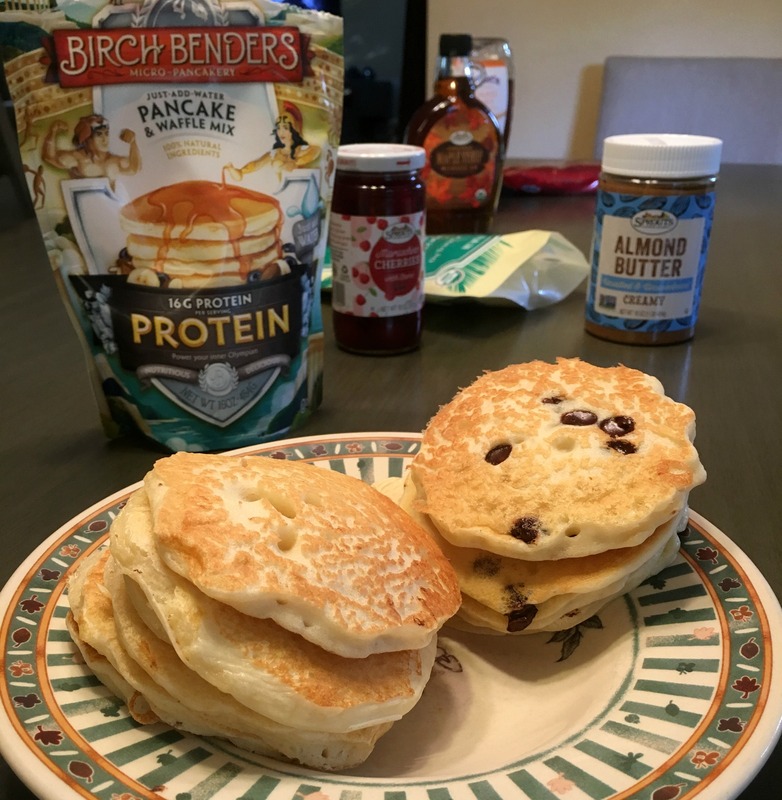 Find Birch Benders Pancake mixes & Frozen Waffles at Sprouts. Can’t wait to hear how you like to top yours! 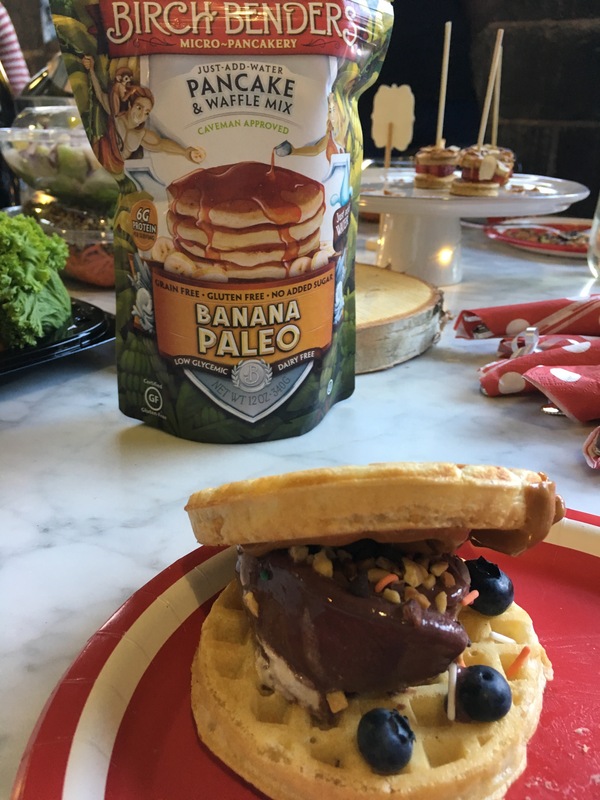 I partnered with Birch Benders waffles and Sprouts for this sponsored post. This giveaway will end on Aug. 6, 2018 at midnight MST. Winners will be drawn via rafflecopter. Once a winner is drawn I will contact them and they will have 48 hours to reply before I draw a new winner. Giveaway is open to anyone in the US. You must be 18 years of age or older. Giveaway is not affiliated with Facebook & I release them of liability. Winner will be posted in the rafflecopter widget. My favorite pancakes are made with bananas and have pecans on top. I love male syrup on my pancakes and waffles! I like to top my pancakes with walnuts, bananas and syrup. I like to top my waffles with butter and maple syrup. In the fall I always get their pumpkin pancake mix. So unbelievably yummy! I like to top my pancakes with syrup. I love strawberries and maple syrup on my pancakes. I enjoy my pancakes with organic maple syrup. I like to top my waffles with cooked strawberries and whipped cream. I like to top my pancakes with butter and syrup. I'm simple - butter and maple syrup on either of them! Butter and maple syrup, please! I like cinnamon and sugar and syrup! I like strawberries on my waffles. 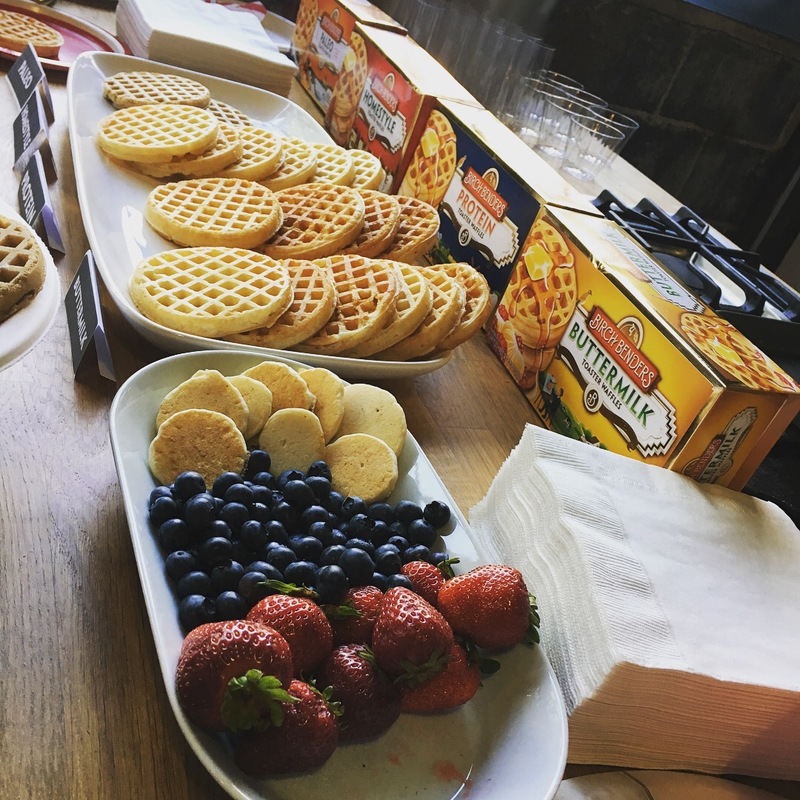 I like to top my waffles with butter, fresh fruit(when affordable!) and maple syrup. I like to top my waffles with blueberries, strawberries, whipped cream and Dulce de leche! I am a syrup and butter girl! sounds awesome. where can I purchase? I like butter and syrup but everyone else in my family likes peanut butter. I love it with syrup, walnuts & slices of strawberries on top. I love maple syrup on my pancakes!! I really like them just with syrup and a bit of butter. I'm a fan of good old maple syrup and butter on my waffles and pancakes. Sometimes I like boysenberry syrup too. Lots of butter on my pancakes. Strawberries and whipped cream on my waffles. I top my pancakes and waffles with caramelized bananas, roasted walnuts and pure maple syrup! I like them the traditional way, with butter and maple syrup. I'm a minimalist - real butter and maple syrup. I like fresh strawberries, whipped cream & syrup. I like butter and cinnamon sugar on my waffles or pancakes. I love to put butter or fruit on my pancakes and waffles. I usually just top my waffles with butter and syrup! Sometimes I love adding whipped cream and fresh fruit though, yummy! I like to top them with butter and maple syrup. 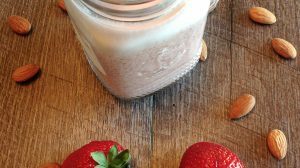 I like to use maple syrup with strawberries and whipped cream topped with pecan pieces. I like only maple syrup on pancakes and waffles. I top my pancakes with butter and flavored syrup.